Hyperledger Sawtooth is a modular platform for building, deploying, and running distributed ledgers known as blockchains. Hyperledger Sawtooth (a Linux Foundation Project) is a modular platform for building, deploying, and running distributed ledgers known as blockchains. 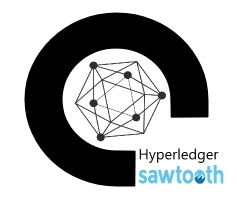 Designed for versatility and scalability, Hyperledger Sawtooth is a modular blockchain suite. Distributed ledgers provide a digital record (such as asset ownership) that is maintained without a central authority or implementation. A distributed ledger is a set of communication protocols that enable administratively decentralized, replicated databases. Distributed ledgers can provide an efficient and secure infrastructure for the issuance and exchange of digital assets. Their security, democratized control, and automation can have a transformational-impact on industries ranging from capital markets to global trade.